I'm getting close to finishing this week's games. 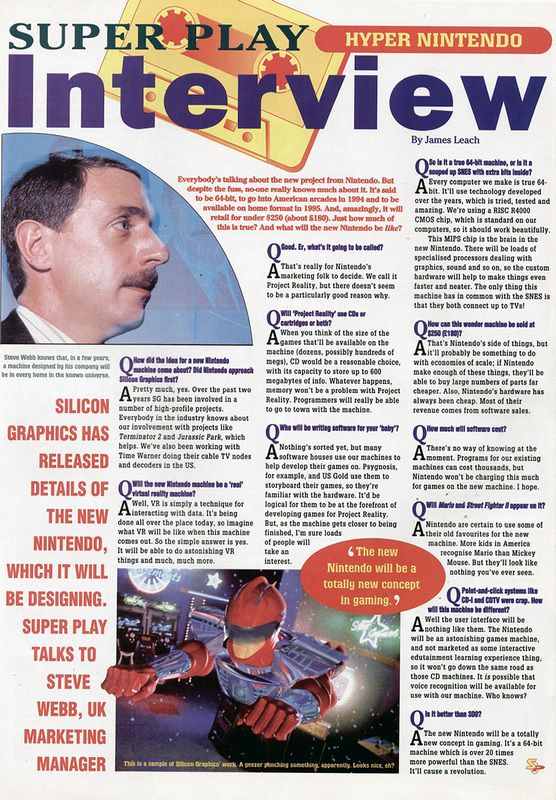 (... which means a whole lotta grinding in Lunar and a whole lotta backtracking in Jurassic Park...) But in the meantime, here's what was making headlines around October and November of 1993. I've just gotta say, how awesome were Wil Overton's covers? 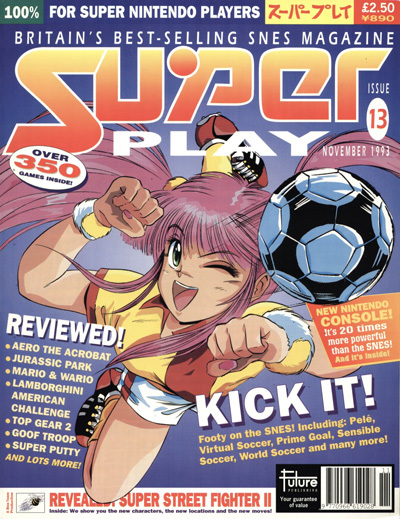 They gave Super Play such a sense of class and awesomeness. So the big news of Issue 13 was that Nintendo made its first official announcement of the Super Nintendo's successor. Only a couple of months since the Super C.D. 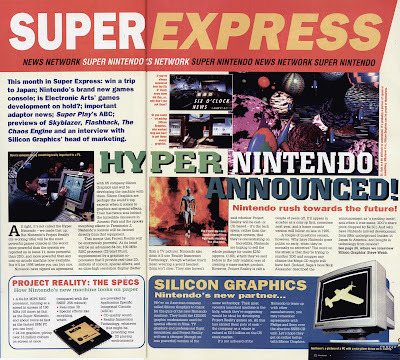 was officially scrapped, and now came the news of a partnership with Silicon Graphics, which would mean that Terminator 2-level special effects would be possible on the next Nintendo videogame system!! So very early news, but at least it had a working title ("Project Reality") and some of the initial design specs had surfaced. 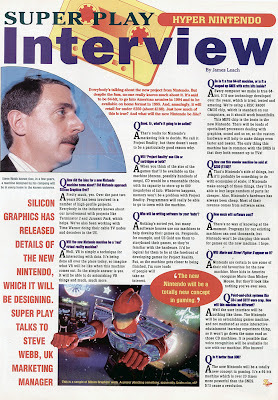 Here's an interview with Silicon Graphics. So there you have it. Hopefully new episode will be up within the week. Ciao!